On Saturday, July 15th, Kathy L. Murphy, founder of the 700+ chapters book club The Pulpwood Queens and Timber Guys, will present a three hour workshop on “Creating Book Buzz and Building Your Author Brand” at the Bellingham Yacht Club main lounge from 9:30 in the morning until 12:30 in the afternoon. The Pulpwood Queen, Kathy L. Murphy, will share her secrets of success! The Pulpwood Queens and Timber Guys Book Club has more than 700 chapters and is based out of Nacogdoches, Texas. 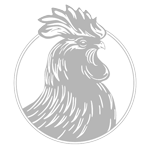 It was founded by Kathy L. Murphy some 17 years ago. Each January, the Queen hosts the Girlfriend Weekend in Nacogdoches, Texas. It is attended by up-and- coming authors as well as best-selling traditionally published authors “who are eternally grateful to Kathy” for helping to launch their careers — such as Jamie Ford, the author of Hotel at the Corner of Bitter and Sweet and his latest novel, Love and Other Consolation Prizes, and before his passing, Pat Conroy, the author of The Prince of Tides and The Great Santini. The Pulpwood Queens Book Club has been featured on The Oprah Winfrey Show, Good Morning America, and in Time, Newsweek, The Wall Street Journal, etc. 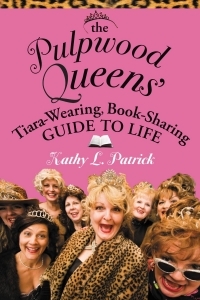 Kathy Murphy is the author of the book, The Pulpwood Queens’ Tiara Wearing, Book Sharing Guide to Life publisher under her former married name, Kathy L. Patrick and has optioned the film rights to her story to DreamWorks. Currently, Murphy is about to finish her B.F.A in Art at the University of Texas in Tyler and working on her next book, The Pulpwood Queen Goes Back to School. To REGISTER for the Kathy L. Murphy Workshop, click here. $55 per person in advance. $75 at the door. Seating is limited. Coffee and Tea and mid-morning snacks will be served.